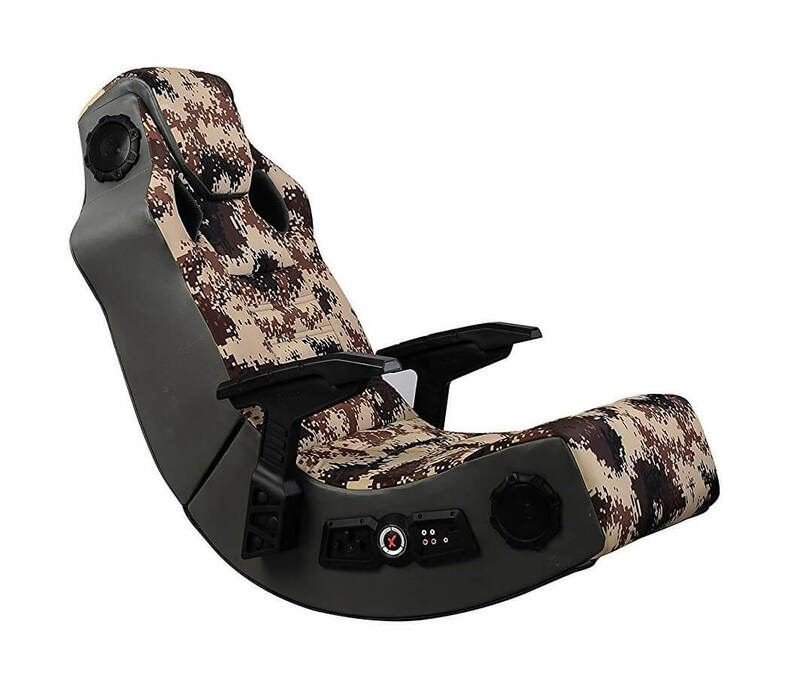 With it's comfort and durability, we think the ​V Rocker 5130301 SE from Amazon.com is the right kids gaming chair. 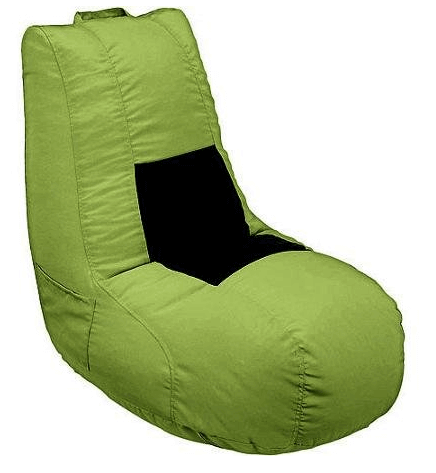 This bean bag also has a Lycra Sweet Spot and is filled with Eco-friendly materials. ​Using V Rocker Interactive Audio for the ultimate gaming experience. The new L-shape design makes this kids gaming chair ultra-comfortable. ​​Ideal for watching movies and reading. Kids nowadays spend much more time watching TV and playing games. And we all know the kind of negative impact this gives to one's health. That is why since May 2018, we have researched and tried over 30 different kids gaming chairs which your little ones will love. ​First up, we have a rocker that’s built for the budget gamer. It’s a nice low seating chair that is made for casual gaming where your kids will have a floor seated position. It compliments a hard wooden frame but comes with a nice flame retardant foam padding. For people who want a little more style to the chair or their own personal touch, the manufacturer offers a wide variety of different color choices. Some of the color options aren’t as impressive as the others. The more appealing colors from the selection tend to look really good and can bring quite a lot of life to an otherwise sober room. These things are perfect if you plan to throw them in a kids’ room without needing to worry about harm coming to the kids or the chair itself. They’re comfortable, sturdy and can bring a splash of color to any room. They’re also really great to use with a video-game console or a couple of movies. The only real downside to this chair is that it isn’t for larger kids and it will start to feel a little cramped after they spend a couple of hours in it. ​This may not be the best chair for people who are looking for a prolonged use chair as this chair is comfortable for a few hours at the most. This stylish and sleek modern designed X Rocker kids gaming chair brings comfort and quality surround audio to you at a relatively low price. 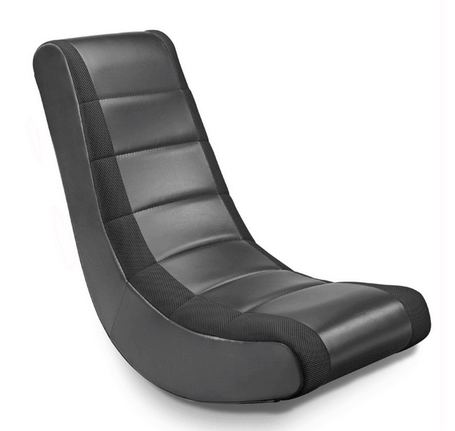 The design is unique, like other X Rocker gaming chairs and this is another floor based rocker that has a curved design that allows people of various heights to enjoy. A convenient side panel and nearby audio speakers give you maximum immersion for your gaming and television watching needs. The control panel provides two sets of RCA ports and a single 2.1 audio port. The panel also houses the controls for the volume adjustments and a sensitivity setting for the haptic feedback motors. Yes, you heard that right; this chair comes with a set of build in vibration motors that respond to bass frequencies from your inputs. You could get a fully haptic-sensitive experience by simply plugging in your audio ports. If that wasn’t enough to impress, this chair also allows for wireless connectivity through its wireless built-in radio system. This is particularly great for movies and video games but can get a little disorienting when it comes to music tracks. ​This kids gaming chair is an awesome great budget X Rocker chair with crystal clear audio that improves the immersion of your gameplay and is a must recommend. You really don’t find many feature-rich chairs like this on at this price point. From the connectivity options to the comfort and visuals; you can’t go wrong with this one. This rocker also features adjustable armrests and easily cleanable fabric upholstery that doesn’t track dirt or absorb sweat. The upholstery is the perfect solution for when the kids get a little messy or spill stuff on it. 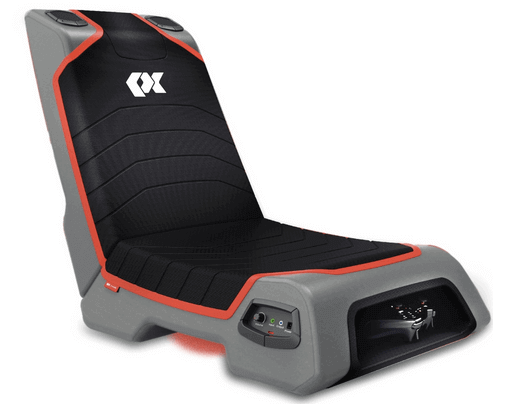 Another great floor level gaming chair from the Cohesion lineup comes with a lot of features and is very lightweight. This kids gaming chair has also been tested against the Consumer Product Safety Commission standards and passes with flying colors. The padded surfaces and safety-beaded edges on this chair make it the perfect companion for a younger child. It's also a great way to introduce kids to delicate electronics and how they should be handled. The audio ports on the side are sturdy enough to take a beating during rough play, but they also require some control and coordination to use. This really is a great way to get a young child to develop a strong sense of coordination. ​While it is comfortable, it doesn’t support a lot of weight and isn’t for heavy people. If you’re looking for an entry-level gaming chair to relax on for extended periods of time, this is an ideal budget kids gaming chairs for smaller or younger children. Safety is always at a high priority around little kids and this chair aims to deliver the safest experience they can have with a chair. It isn’t raised off the ground and is entirely padded so as to prevent nasty falls or bumps, scrapes, and bruises from sharp corners. It’s also very comfortable to boot and is visually appealing to both toddlers and adults. While it doesn’t support RCA cables for older TVs and consoles, the 2.1 aux port should be compatible with most modern TVs and all newer consoles. If you do need to pair it with a system that doesn’t support 2.1 aux cables, you can easily find an RCA to 2.1 aux converter for a low price online. ​This plain looking Imperial gaming chair is designed for smaller children and when it’s not in use, it can be folded up into just 15” tall. The fabric itself is made from a mesh fabric and is very soft to the touch. The visual design on this chair is much soberer than other gaming chairs. It’s the perfect chair for a kid who’d rather not have bright colors or over-the-top designs. It’s also very safe and the body of this chair can withstand reasonable amounts of stress. While larger children might find it uncomfortable over long periods of time, smaller kids will find it snug and cozy. The material is also breathable enough to not track sweat and the foam padding underneath provides ample insulation in an air-conditioned room. A nice budget ergonomic ​kids gaming chairs of all sizes. Even heavier kids will get enjoyment and prolonged use out of this chair as the chair supports a lot of weight. ​Definitely one of the most unique and interesting designs in this lineup comes the Proxelle Dual 3W gaming chair. This is one of the most unique chairs we’ve ever covered and it’s for a pretty cheap price in addition to being one of the #1 new releases on Amazon. If you’re looking for comfort, console compatibility and something that’ll add spice to your kid’s room, this is the chair for you. ​This is one of the kids gaming chairs on the market today. It’s highly effective, comfortable, sleek, modern and affordable. You can store your controllers in it, fold it up and add a splash of futuristic design to your child’s room. 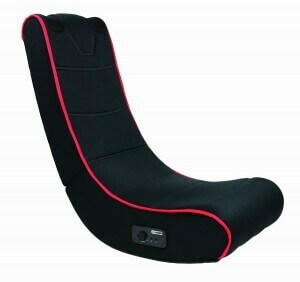 ​When you’re gaming for hours, you need a nice, soft and comfortable seated position to do it in. If you don’t want to spend hundreds on a gaming chair, you can spend about $20 to $30 in a gaming bean bag chair. These aren’t as common as gaming chairs but their comfort doubled with their low budget-friendly prices make them a great pick. The beauty of these chairs isn’t the unique modern ergonomic design but it’s the material used to make them so comfortable. This chair is highly reviewed everywhere it’s sold and when you sit down in one, you won’t want to get up again. ​The only con we’ve found for this chair is that it won’t be ideal for computer users as this is a ground level chair. ​Ace Bayou is a well-established company that is known for their budget-friendly and high-quality gaming chairs. If you need a chair that not only feels comfortable but leaves your wallet feeling comfortable as well, Ace Bayou usually provides some of the best products on the market for their price. 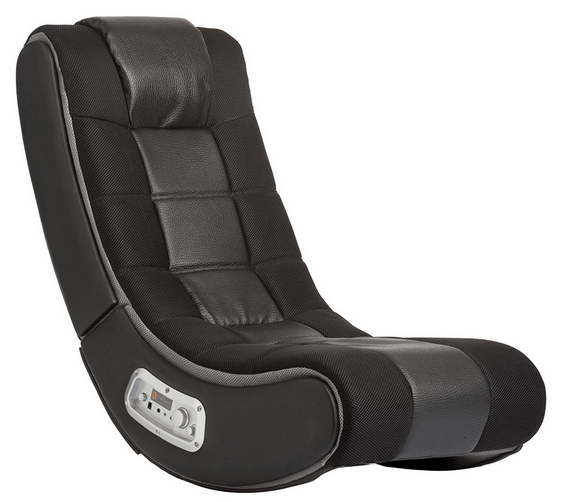 We wanted to take a look at the V Rocker 5130301 SE Video Gaming Chair today which has wireless capability and has a sleek black with a hint of grey style. One of the first things you’ll notice is that the chair has a bit of a plain look to it and there’s not a lot of style points but this is okay because where it lacks in style, it makes up for in functionality. 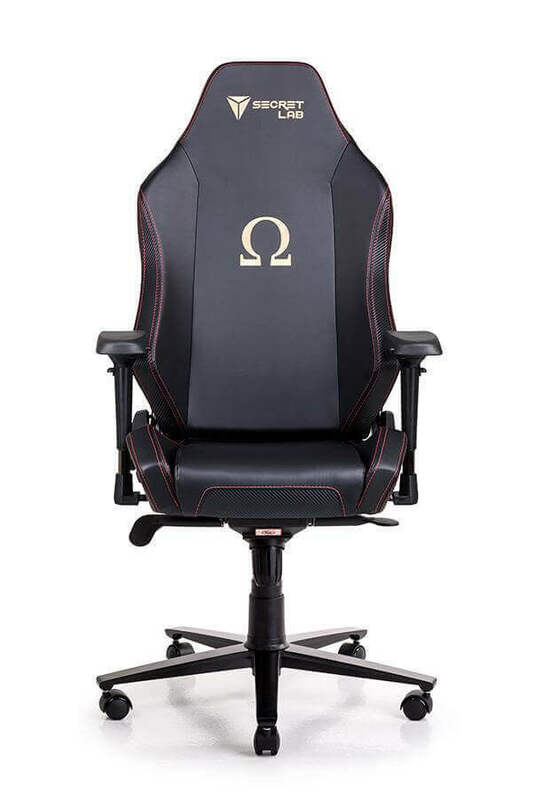 ​While this isn’t a high top notch and high-speed gaming chair like you might find at other sites for hundreds of dollars, this is one of those chairs that are too good to pass up for the value compared to the cost alone. There’s a lot of different features to the chair that other chairs for the same price don’t offer and the most redeeming quality is the sound alone. The sound is super high quality and it’s surprisingly comfortable to sit in. Yes This is awesome. As we all know kids spend their much with Video games and mobile Phones. 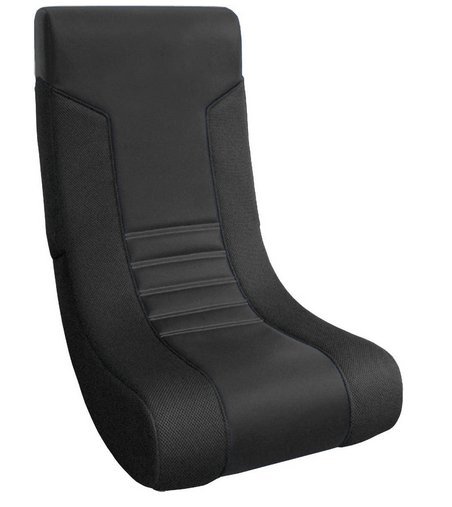 These Kind of chairs provide excellent back support while you’re gaming for long periods of time.